Element 8: visualising oxygen. The elemental gas, oxygen is the engine of life and evolution. Only living organisms can produce free atmospheric oxygen in any abundance and consequently, this gaseous element is an invisible signature of life’s fulfilment on our planet. For this series of works, I developed a novel process through which this gas becomes visible so that we might witness its abundance and vitality for the first time. 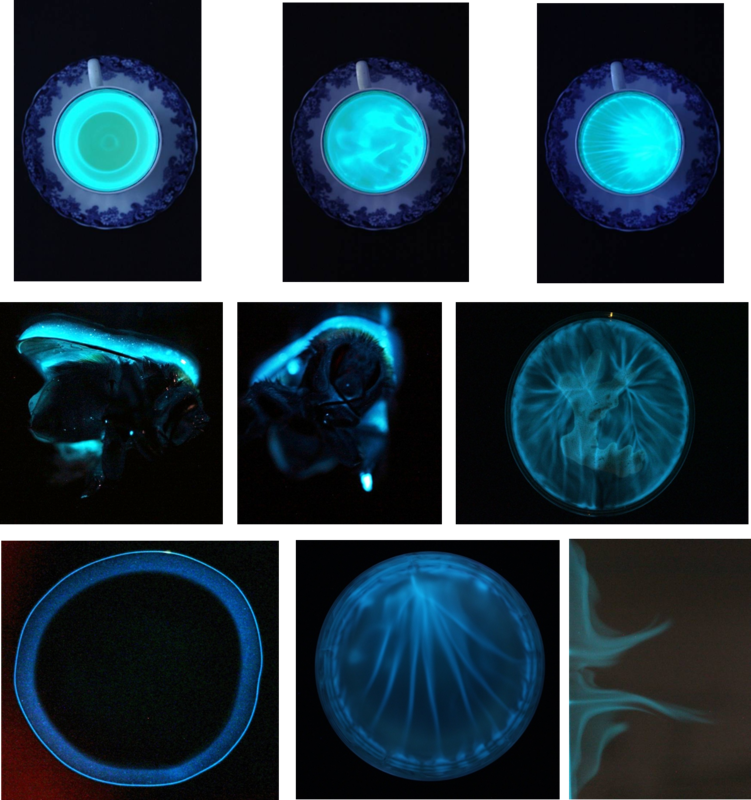 The basis for this series of works is the reaction through which bioluminescent bacteria produce light, as this pathway has an absolute requirement for oxygen. As a consequence of this cells replete with oxygen glow brightly, those limited for this gas produce less light, and those starved of it are completely dark. In this way, I have discovered that these bacteria are able to function as an exquisitely responsive medium for this vital element with fluctuations in the light that they produce being a monitor that reflects the concentrations of this gas. This unique process discloses for the first time the normally invisible signature of oxygen’s activity, and its dynamic interaction with various objects (Bee, Tea Cup and Wineglass with artist Anne Brodie). wow, i would LOVE for this blog to live on tumblr!